Vintage Elegant Striped Tulip Engraving! 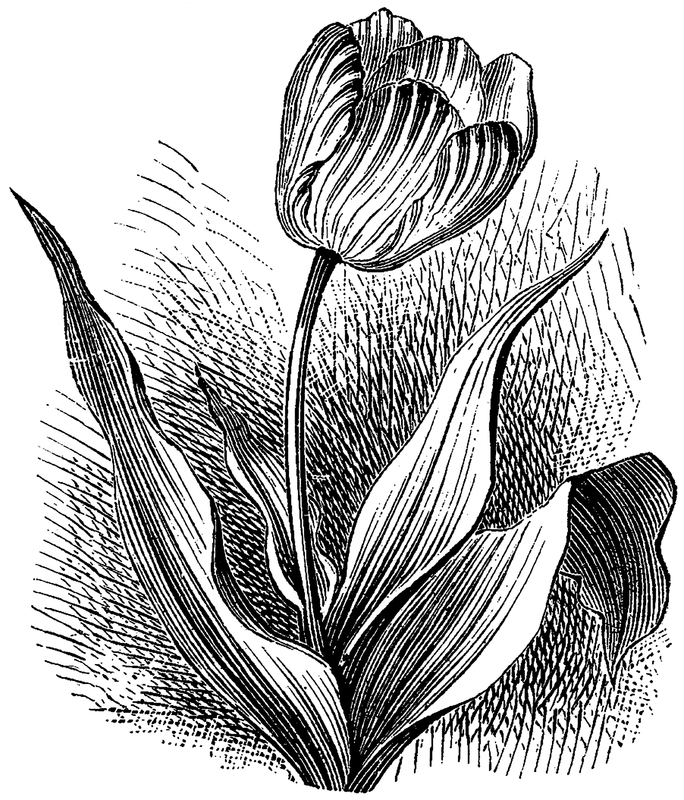 Today I’m sharing this Vintage Elegant Striped Tulip Engraving! This drawing of a tall graceful striped tulip is stunning. The flower is bent slightly to the right and the long tapered leaves are opening toward the bloom like they are saying “Here is our beautiful flower.” So nice to use in your Spring or Floral Craft or Collage Projects! « Vintage French Girls in Colorful Lace Hand Painted Photo! I love these black and white images – the detail is fantastic on this lovely tulip!